With 2018 behind us, it's time for a stashdown in 2019! Even though we had a big stashdown last year, I find myself with tons of extra yarn again...how does that keep happening!?! Do you want to join me on a de-stash adventure? 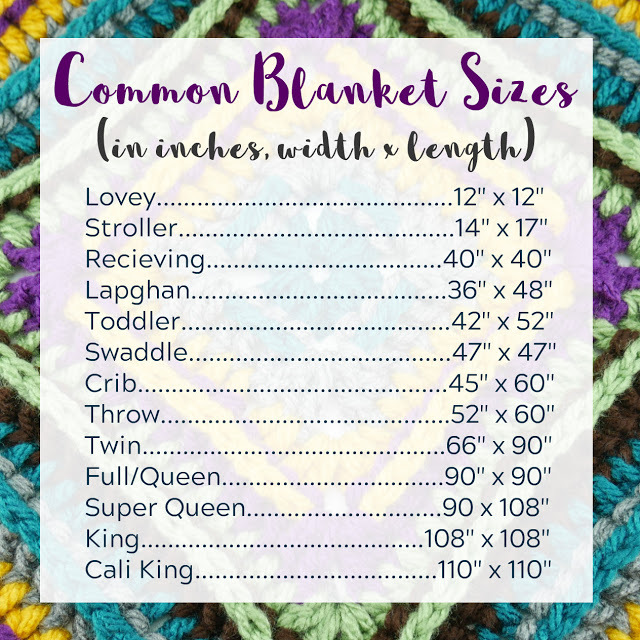 This year we're going to make an awesome square blanket again, as large or as small as you want, using yarn on hand as we go! After the popularity of the Autumn Landscapes Throw, I thought that would be the perfect way to use up some yarn! Grab a bin or basket and use it to collect your yarn odds and ends from your collection. Any weight you have on hand is fine! To get the chunky strand we're after, you may have to hold two or more strands together. Yarn odds and ends, does not matter the weight, I'll be using all kinds and holding some double and triple to mimic a bulkier strand. Ch 4, join in the ch furthest from the hook to create a ring. Note: I switched colors after each round. Also, if you prefer to use the magic ring technique, please feel free to do this instead. For multicolor squares such as this one, weaving in your ends as you go will give a nice neat look and save you a ton of time too! 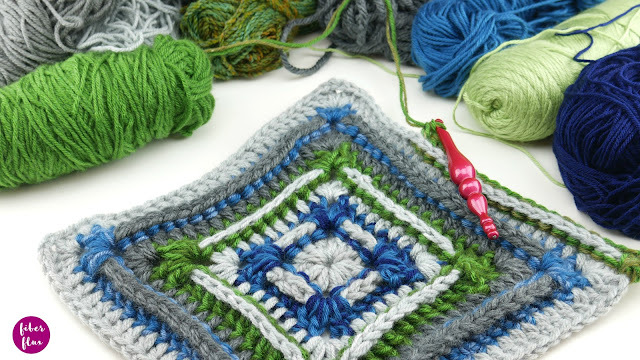 If you choose not to switch colors after each round, you'll need to slip stitch over to the corner space before you begin a new round. Check out my video tutorial if you need help with this part. Round 1: Ch 3, then work 2 dc into the center of the ring. Work (3dc, ch 2) three times into the center of the ring. Join with a sl st to close round. Round 2: Tie new color into any corner space (ch 2 space from previous round) and work (ch 3, dc, ch 2, 2 dc) in the corner space. *Work a bpdc into each of the side stitches (the first round will have 3 on each side, but will grow in number as your square gets bigger) of the square, then (2 dc, ch 2, 2 dc) into the corner space. Work from * to the end of the round, then join with a sl st to close round. Round 3: Tie new color into any corner space (ch 2 space from previous round) and work (ch 3, dc, ch 2, 2 dc) in the corner space. *Work a dc into each of the next side stitches of the square, then (2 dc, ch 2, 2 dc) into the corner space. Work from * to the end of the round, then join with a sl st to close round. *I will give an update each season (spring, summer, fall, winter, then end of the year wrap up) to show the progress of my blanket. 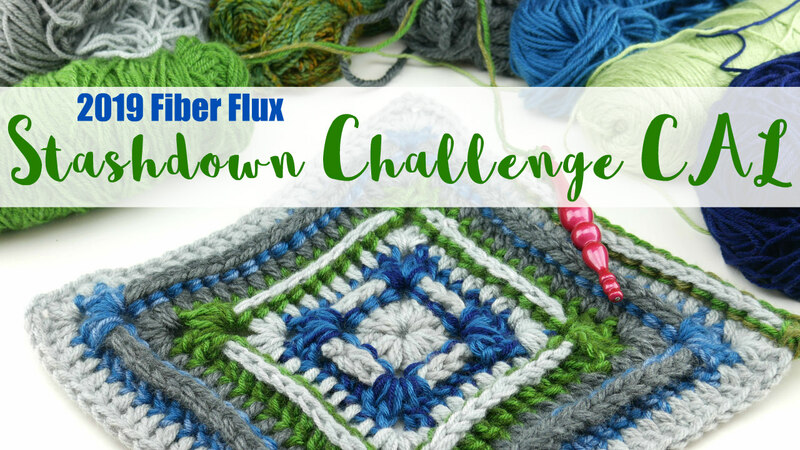 Please share yours too on social media and in our Fiber Flux CAL group (link above). Happy de-stashing lovelies!